Home » Blog » Weekend Tile Sale! Sale includes ceramic, porcelain, & terra cotta tile. Please note: Some exclusions apply. Sale does not include loose (unbundled) tile; boxes and bundles that have been ripped open; stone or glass tile; select specialty items; carpet, wood, or other types of flooring. Flash sales do not include white tag items, items from our consignment partners, or online items. Items with missing or damaged price tags will not be sold. May not be combined with other sales. you should also see the Green Expo & Electric Car Show, just a few minutes away! Stop by the Forklift’s display to say hi to our Community Builders, then check out all the other cool exhibitors! 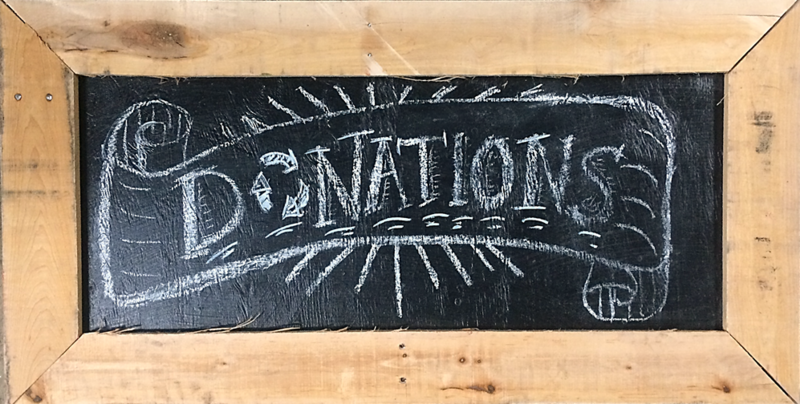 The Hyattsville Horticultural Society will be selling gardening pamphlets as well as gently-used gardening and nature books, tools, flower pots, planters, flower frogs, and more from their members. Here’s your chance to ask local garden celebrity Miss Floribunda and others for horticultural advice. Other vendors include Arrow Bicycle, Big Bad Woof, Calvert Brewing, Capital Area Native Plants Group (offering native plants for fall planting), Chesapeake Natives (pollinator info), local children’s book author & song writer Richard Morris, Robert Harper Books, Sierra Club, Tanglewood Works, Vigilante Coffee, Yasmin’s Jewelry, yogis, the Honey’s Empanadas and Healthy Fool food trucks, Prince George’s County Department of the Environment, and more than a dozen electric vehicle owners (all showing off their rides and the advantages of going gas-free). Local talent will perform throughout the day. 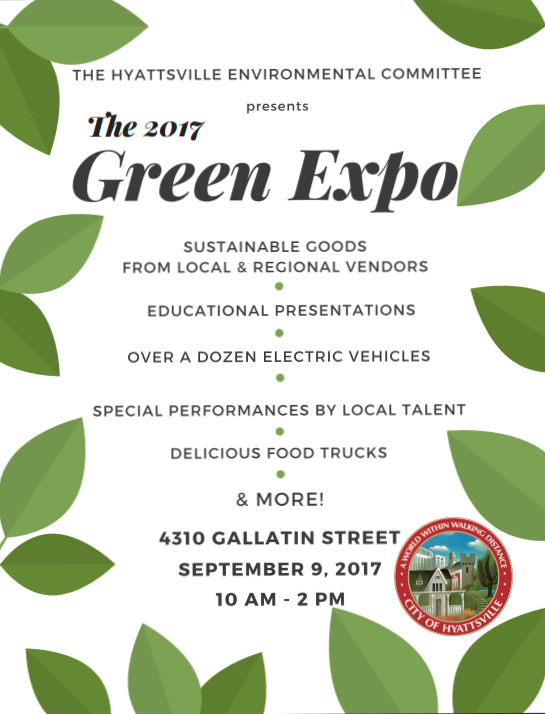 Get all the details at; https://sites.google.com/site/hyattsvilleenvironment/green-expo-9-9-2017.